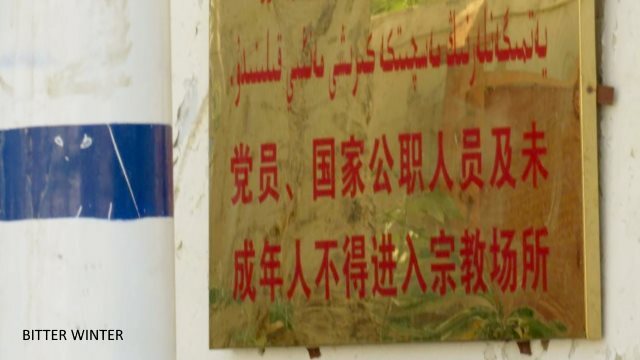 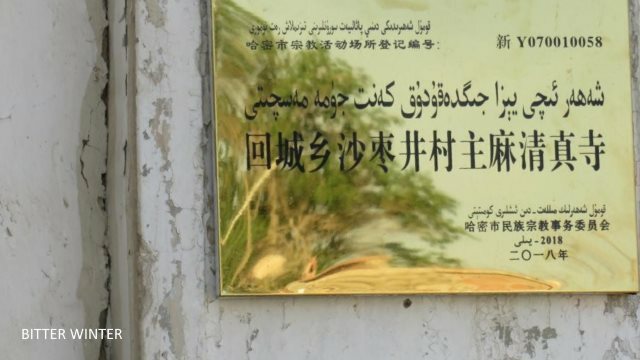 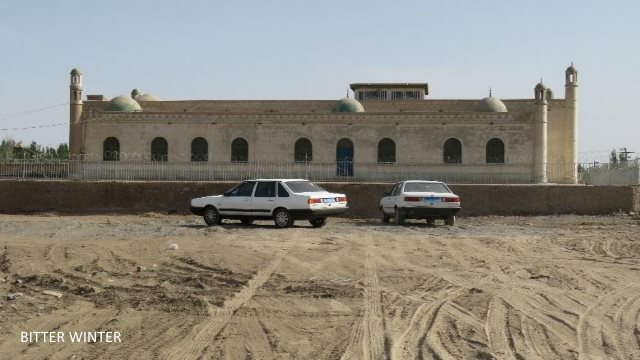 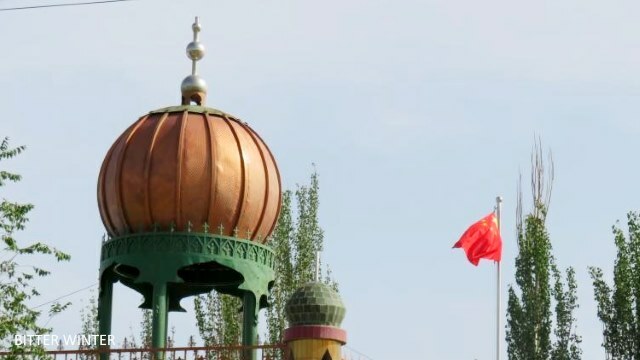 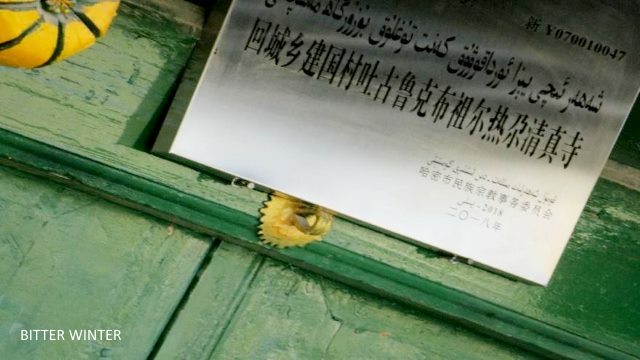 The CCP authorities continue taking down Islamic symbols from mosques and other buildings in China’s Xinjiang region. 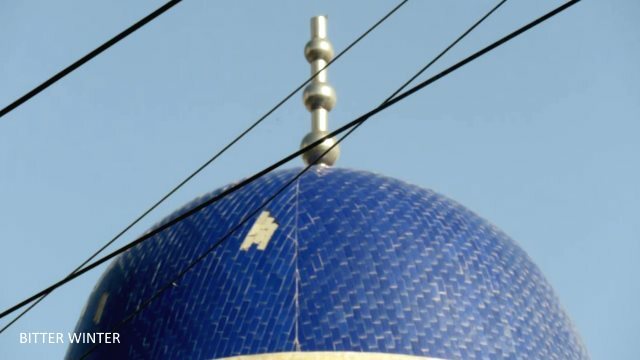 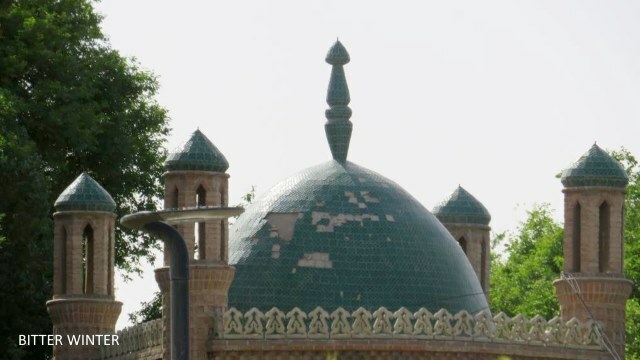 The crescent moon and star, commonly recognized as the symbol of the Islamic faith, is disappearing from both secular and religious buildings in China. 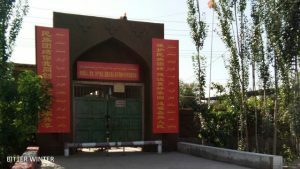 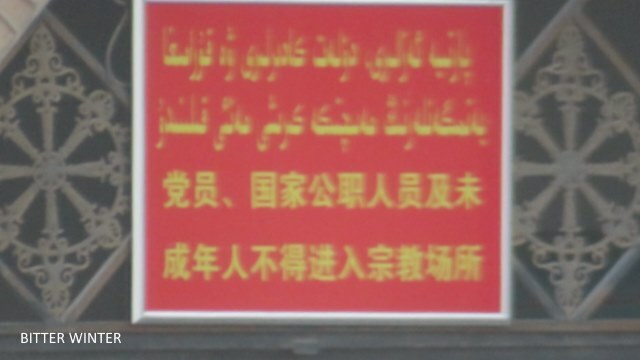 Bitter Winter presents photographic evidence of the government’s crackdown on religious liberties in Xinjiang. 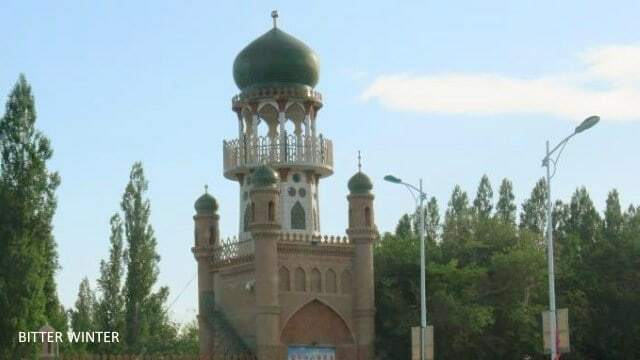 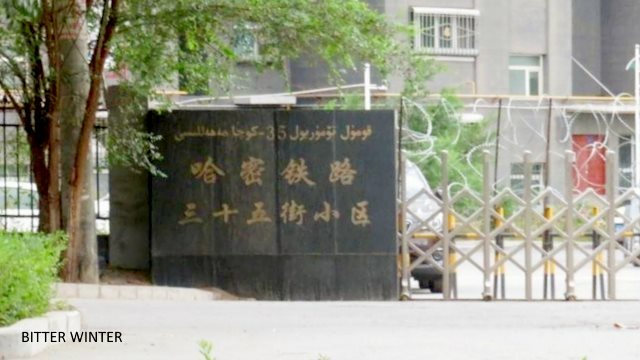 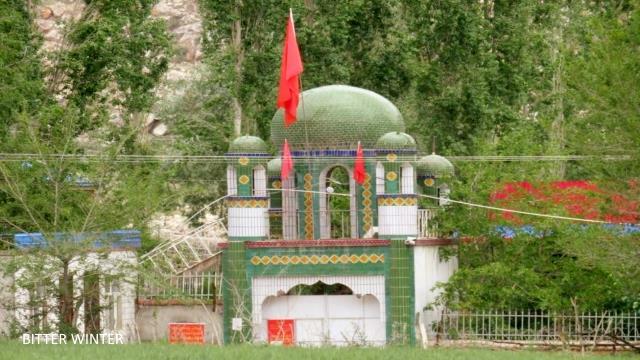 Bitter Winter has previously reported about many cases of the demolition of mosques in Wusu city, Lianmuqin town, and other locations in Xinjiang, as well as forceful removal of symbols associated with the Muslim cultural identity or faith. 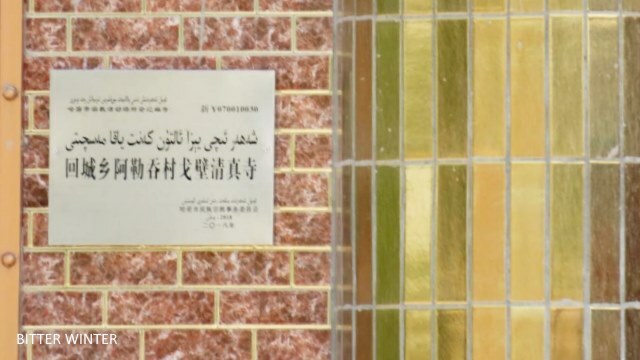 The clampdown is the result of the President Xi Jinping’s policy to “sinicize religion,” introduced in 2015 and meant to bring religions into line with the Communist Party ideology. 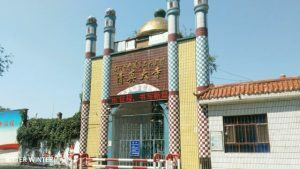 The crescent moon and star symbol has been removed from the mosque in Aletun village of the Huicheng township in the Yizhou Area of Kumul. 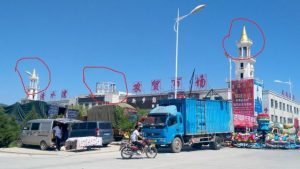 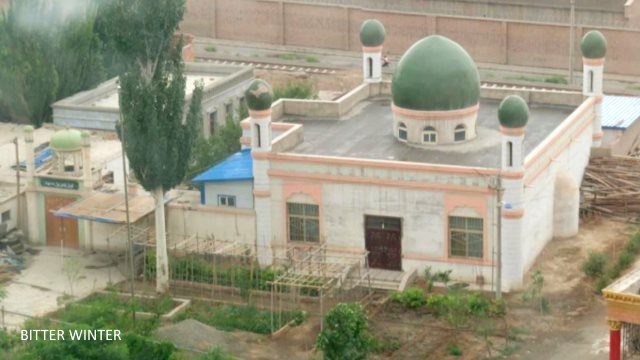 The Tuguruk·Buzuriragah mosque in the Jianguo village, Huicheng township of Kumul has also lost its symbol from the dome. 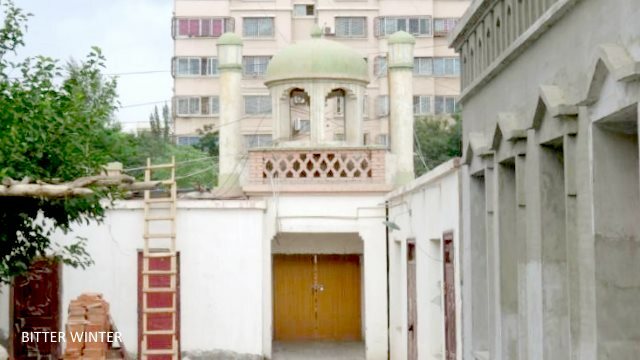 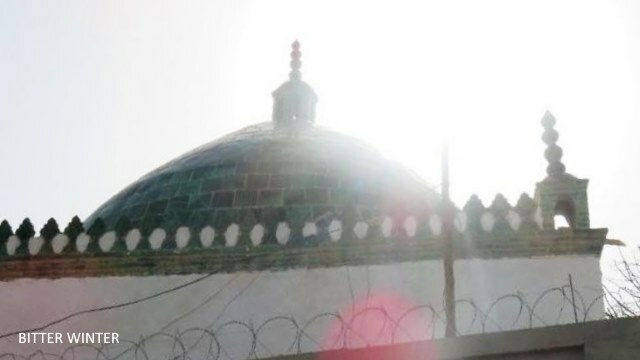 This mosque is located in the Kumul Railway 35th Street Unit, and the authorities have demolished its back walls and locked up all courtyard doors. 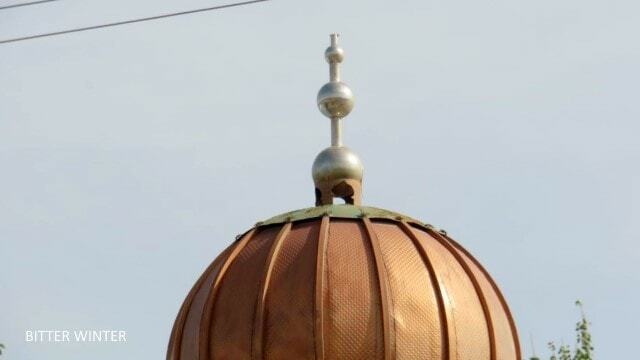 The crescent moons from the five domes of the mosque have all disappeared. 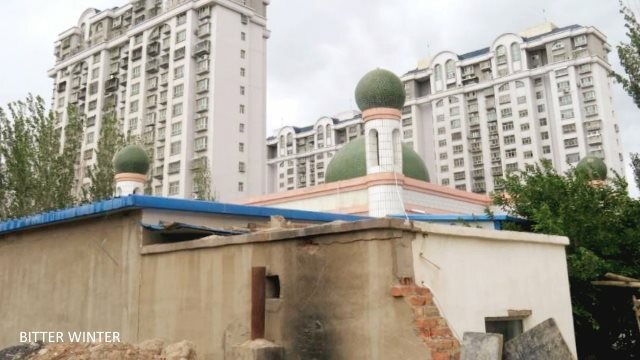 The crescent moon and star symbol atop the mosque across from Huiwangfu in the Yizhou Area of Kumul city has disappeared without a trace. 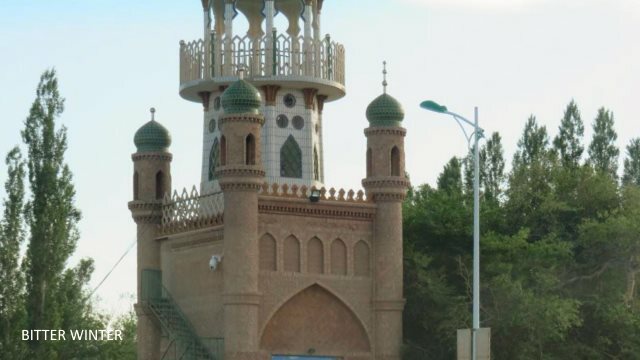 Full view of the Badashi mosque in Kumul. 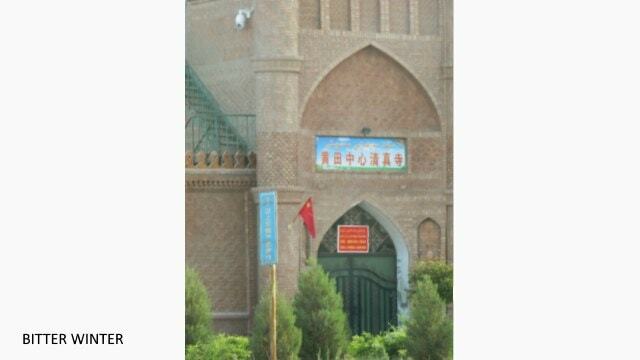 The crescent moons on the domes of the mosque have all disappeared and have been replaced with three Chinese flags.